Long Ridge Dental was founded with the principle of offering state of the art dental care within the realm of affordability. Costs of dental care had undergone skyrocketing inflation over the years and many people could not afford several diagnosis and treatments without adequate insurance coverage. While Long Ridge Dental recommends dental insurance, yet it strives to offer the most cost effective diagnosis and treatments. Ever since its inception, Long Ridge Dental has been the favored and most trusted family dentist of residents in Bridgeport and Stamford. With highly qualified and experienced dentists having impeccable records, Long Ridge Dental is your first and ultimate stop to optimum oral health and perfect teeth. With a proactive approach and timely diagnosis, you would never have to worry about your dental health again. Long Ridge Dental is where you would find the most affordable and the finest and competent dentist in Connecticut. The dentists in our office have over 30 years combined experience in all phases of dentistry including Cosmetic and Family Dentistry.Advanced cosmetic techniques now allow us to replace or restore severely broken, cracked, or missing teeth,fill gaps between teeth, whiten and brighten smiles,and even defend against future discoloration. Allow us to extend our heartfelt welcome to you. The care we offer here is unlike any other you’ve experienced before.What makes our dental practice unique is our commitment to give you the best in dental care, as we make your visit as comfortable and stress-free as possible. It is recommended by The American Dental Association (ADA) and the American Academy of Pediatric Dentistry (AAPD) that your child visits a pediatric dentist when they turn a year old. This visit can prove to be extremely beneficial as it lays the foundation for the child’s good oral health by getting affiliated with their pediatric dentist. 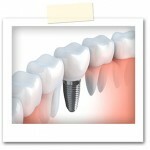 The latest in tooth replacement, Dental Implants copy the natural tooth growth.Dental implant restorations are done in two stages: the first stage involves placement of a replacement tooth root by your dentist and the second stage involves placement of a tooth replacement (crown) at our office. Long Ridge Dental has five locations in Connecticut including Shelton, Bridgeport, Stamford and Fairfield. Long Ridge Dental offers services in pediatric dentistry, cosmetic dentistry, oral surgery, dental implants and preventive dentistry. You would be able to opt for every type of dental care and treatments including crowns/bridges/veneers, dentures, root canal treatment, extraction and teeth whitening among others.